People freaking love Costco. And it’s no mystery why: Today, life moves at a breakneck pace, and if you can’t stock up on toilet paper, get your eyes checked, and book a vacation all in one spot (while snacking on an açaí bowl), those things might not get done at all. Now, both newcomers and some of the biggest names in the wellness and hospitality industries are hoping to capture the same magic of this one-stop-shop approach by housing multiple aspects of your wellness routine under one roof. “We see more and more people looking for wellness options that fit seamlessly into the flow of their day-to-day work and personal lives,” echoes Avi Yehiel, WeWork’s head of wellness. 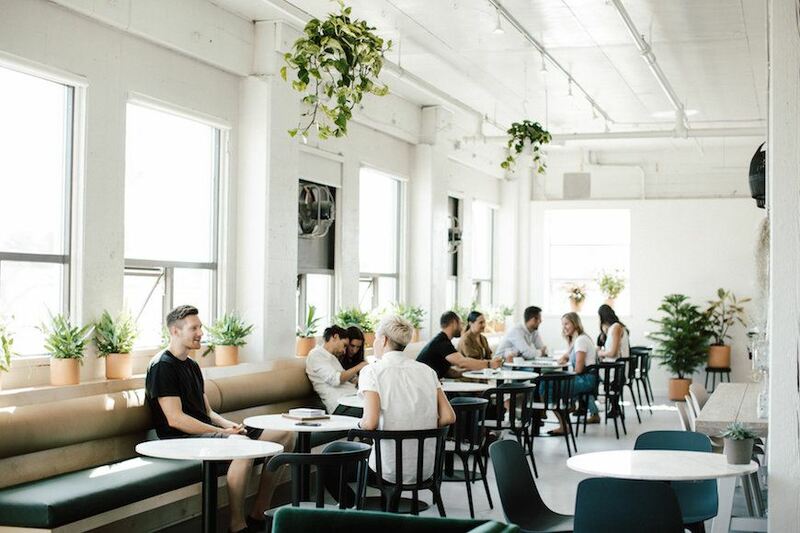 That’s why the coworking company has decided to expand its offerings beyond desk space to include co-living opportunities (WeLive) and fitness programs. “Rise is WeWork’s idea of the ultimate wellness experience, where we use social fitness to elevate the mind, body, and spirit through the daily practice of movement, kindness, and rejuvenation,” says Yehiel of the gym-meets-spa-meets-café that WeWork opened in lower Manhattan in October 2017. And in 2019, Rise by We is partnering with Arianna Huffington’s Thrive Global to further expand its wellness offerings. The Well founder Rebecca Parekh adds, “More brands are popping up and consumers have the chance to interact with wellness in a much more approachable way.” At The Well, this means gathering yoga classes, health coaches, trainers, functional medicine practitioners, and more in a single space. “Your sports medicine doctor and acupuncturist and yoga teacher communicating leads to less pain and more ease of movement in the studio and at home. Your MD discussing your gut health with the nutritionist who recommends dishes from our kitchen…that’s the model we’re offering.” Plant-based cook and health coach Lily Kunin’s Clean Market, which opened in Manhattan in July 2018, adds products to the mix, encouraging you to shop for supplements and health food while you wait for your IV drip or infrared sauna session. As Parekh says, “it takes a village” to stay well—but that doesn’t mean you need to spend your precious time and energy zig-zagging all over town to go to the gym, eat a healthy meal, meet with a coach, or get a holistic treatment. Just call it the Costco effect.